Different tasks require different tools, use Zenkit to manage any project! There are many methodologies to choose from, each with their own set of rules, principles, processes, and practices. Which methodology you should implement depends entirely on the type of project you will undertake. The point of selecting a project management methodology is to maximize the use of resources and time. One thing to keep in mind is that while there are a number of methodologies to choose from, there is no such thing as the ‘right’ methodology. Meaning, there won’t be the one methodology that is perfect to use for every single project. Projects vary in scope and requirements, which means the right methodology to implement will also vary. Now, let’s take a look at some of the more popular methodologies, and do our own project management methodologies comparison. One of the more recognizable project management methodologies, Agile is best suited for projects that are iterative and incremental. It’s a type of process where demands and solutions evolve through the collaborative effort of self-organizing and cross-functional teams and their customers. Originally created for software development, it was established as a response to the inadequacies of the Waterfall method (info on it later below), the processes of which did not meet the demands of the highly competitive and constant movement of the software industry. Agile project management stems from the values and principles of the Agile Manifesto. A declaration cemented in 2001 by 13 industry leaders, its purpose is to uncover better ways of developing software by providing a clear and measurable structure that fosters iterative development, team collaboration, and change recognition. Because of its adaptiveness, Agile methodology is commonly used to deliver more complex projects. It uses six main deliverables to track progress and create the product which are the product vision statement, product roadmap, product backlog, release plan, Sprint backlog, and increment. With these features, it establishes itself as a methodology that places an emphasis on collaboration, flexibility, continuous improvement, and high quality results. Best suited for: Projects that require flexibility and have a level of complexity or uncertainty. For instance, a product or service that hasn’t been built by the team. Agile is a methodology that has methodologies within itself, such as Scrum and Kanban. While some may argue that they should be considered more as frameworks, they are used to develop and deliver a product or service and carry their own set of characteristics and terminology which I think makes them worthy enough to be included on this list. Scrum is comprised of five values: commitment, courage, focus, openness, and respect. It’s goal is to develop, deliver, and sustain complex products through collaboration, accountability, and iterative progress. 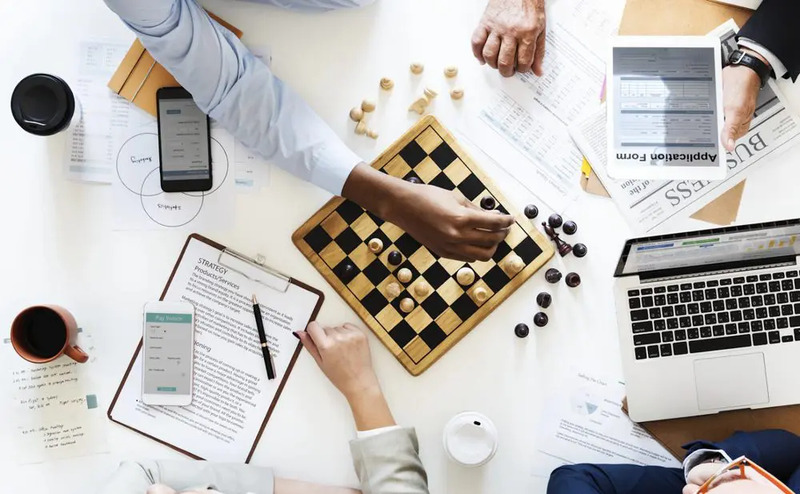 What distinguishes Scrum from the other Agile project management methodologies is how it operates by using certain roles, events, and artifacts. Sprint: Iterative time boxes in which a goal is accomplished. Time frame does not exceed one calendar month and are consistent throughout the development process. Best suited for: Projects that consists of teams of less than seven people who need a flexible approach to delivering a product or service. Kanban achieves efficiency by using visual cues that signal various stages of the development process. The cues involved in the process are a Kanban board, Kanban cards, and even Kanban swimlanes for those looking for that extra bit of organization. Kanban board: What’s used to visualize the development process, a Kanban board can be either physical (a whiteboard, sticky notes, and markers) or digital (like Zenkit’s online project management tool). Kanban cards: Each Kanban card depicts a work item/task in the work process. Used to communicate progress with your team, it represents information such as status, cycle time, and impending deadlines. Kanban swimlanes: Flowing horizontally, Kanban swimlanes are a visual element on the board that allows you to further distinguish tasks/items by categorizing them. Their purpose is to offer a better overview of the workflow. While there are no set rules of Kanban per-se, it works by using a Kanban board to represent the stages of development from the beginning when ideas are produced, to the work in progress, to when the work has been completed. The board’s basic structure is three columns labelled as ‘To-Do, Doing, and Done’ — which is rather self-explanatory. If Kanban is the project management methodology of choice, you get to use one of these! Like most Agile frameworks, Kanban made its mark within the software development industry. However, due to its flexibility it has gained traction in other industries, and is one of a few project management methodologies that can be applied to any project that requires continuous improvement within the development process. Best suited for: Like Scrum, Kanban is fitting for projects with smaller teams, who need a flexible approach to delivering a product or service. Kanban is also great for personal productivity purposes. It identifies three types of waste; muda, mura, and muri, also known as the 3Ms. ‘Transport: The movement of product between operations and locations. Waiting: The act of waiting for a machine to finish, for a product to arrive, or any other cause. Mura is about eliminating variances in the workflow process at a scheduling and operation level so that everything flows evenly. For example, when publishing a magazine, if an editor spends too much time editing an article, it means that the design team will have less time to create the spread before the publishing deadline comes. Therefore, you would reduce the editing time and ensure every department’s timeframe spent on the article is the same. Muri is about removing overload so that the nothing slows down. It refers to managers and business owners imposing unnecessary stress on their employees and processes due to things such as poor organization, unclear ways of working, and using incorrect tools. Instead of implementing certain processes, Lean is more about adhering to a set of principles. The five main principles are; specify value by the customer, identify steps in the value stream, make product flow continuously, allow customers pull value from the next upstream activity, and manage towards removing unnecessary steps. Best suited for: Often mistaken for specializing in manufacturing industries, Lean methodology is ideal for any business or organization that is not looking for a process as such, but is interested in transforming how they conduct doing business. One of the more traditional project management methodologies, Waterfall is a linear, sequential design approach where progress flows downwards in one direction — like a waterfall. Originating in the manufacturing and construction industries, its lack of flexibility in design changes in the earlier stages of the development process is due to it becoming exuberantly more expensive because of its structured physical environments. Waterfall is a project management methodology that stresses the importance of documentation. The idea is that if a worker was to leave during the development process, their replacement can start where they left off by familiarizing themselves with the information provided on the documents. Pre-Agile saw the Waterfall methodology being used for software development, but there were many issues due to its non-adaptive design constraints, the lack of customer feedback available during the development process, and a delayed testing period. Best suited for: Larger projects that require maintaining stringent stages and deadlines, or projects that have been done various times over where chances of surprises during the development process are relatively low. Six Sigma is project management methodology first introduced by engineers at Motorola in 1986. It aims to improve quality by reducing the number of errors in a process by identifying what is not working and then removing it from the process. It uses quality management methods, which are mostly empirical and statistical, as well as the expertise of people who are specialists in these methods. There is also a Lean Six Sigma methodology which is committed to improving team performance by systematically eliminating waste and reducing variation. Best suited for: Larger companies and organizations that want to improve quality and efficiency through a data-driven methodology. PMI stands for the Project Management Institute which is a not-for-profit membership association, project management certification, and standards organization. Through the PMI, comes the PMBOK which is not quite a methodology but a guide detailing a set of standards that characterize project management. Initiating: Defining the start of a new project or new phase of an existing project. Planning: Where the scope of the project, objectives, and how the objectives will be achieved. Executing: Actually doing the work defined in the project management plan. Monitoring and Controlling: When you need to track, review, and regulate the progress and performance. Closing: Concluding all activities across all Process Groups to formally close the project or phrase. Along with this, it includes best practices, conventions, and techniques that are considered the industry standard. Regularly updating their guide to ensure that they echo the most up-to-date project management practices, the PMBOK is currently up to its sixth edition which was published in print and online in 2017. Best suited for: Because it’s more of a reference guide than an actual project management methodology, you can’t implement PMI/PMBOK to a project. However, it can be used for when you want to weigh in on the best practices for your project. You may find that more than one of the aforementioned project management methodologies seem ideal for your project, or hey, none of them would work. What we’ve provided is a simplified guideline to help you take the first steps of selecting the best methodology for your upcoming project. The next step to take is to do further research and then once you find the best match, pair it up with a great project management tool (ahem, like Zenkit), and you’re all set. Don’t forget to let us know which project management methodology worked best for you! What about PRINCE2? It seems to me that PMI and PRINCE2 are quite comperable, but PMI is more common in US, while PRINCE2 in in EMEA region. Ah yes, PRINCE2, perhaps I’ll have to include it in a revised version of this article. Cheers for the tip! Good article, very informative and helpful. What methodologies best suit in establishing a retail shop? Establishing a retail shop seems to me something that may involve a few uncertainties and surprises, so I would probably recommend something Agile as they provide leeway and flexibility. What about Dev Ops methodology? Can you check explain it . Thanks for the tip, Abdulrahman. Sounds like something that could be included in a revised version of this article. Hi Dinnie, great article and very informative. I currently work in a company and we execute contract both government and private contract. I was hired in February and there were 41 contract job being worked on. Ranging from road construction to procurement/supplies etc. I am having a hard time determining which methodology to use and how to track these projects. Most of them have been completed. While I’m not all too familiar with gym management systems, I can recommend Kanban. It provides great flow management and the board and cards used offer a visual structure to track various tasks/items in the one place. Thanks for the article. It amazing how it articulates so much knowledge, on a succinct way and gives to the user a quick and sufficient overview of the PM methods as well as the initial boost for a further research deepening down, if needed. What do you would be the best mix methods or mix of them in an ERP implementation such as SAP? Thanks in advance for your reply!